Just upload your file and fill out the short form at AccessBack.com. 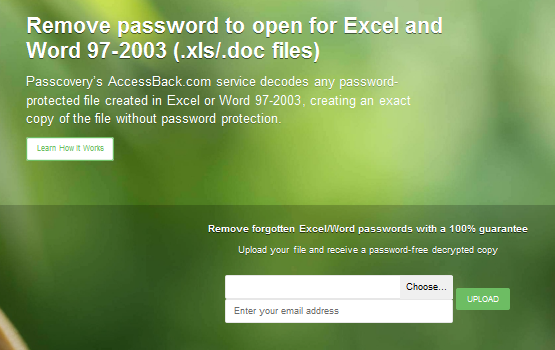 We guarantee that you will receive your decrypted Excel/Word file ASAP. 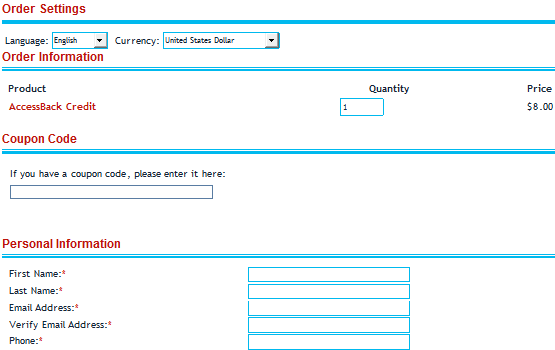 Just select the file, leave us a working email address, and click Upload. Our service locates the encryption key for your file, decrypts it, takes a screenshot of the first page as proof and emails it directly to you. Get guaranteed success every time! 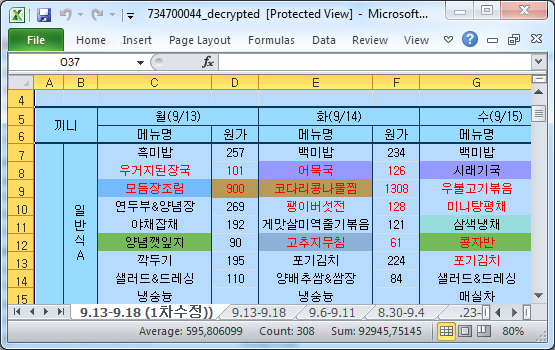 Once you review the screenshot of your decrypted Excel/Word file, you can choose to pay for the service and receive a complete, password-free copy of the file. Payment is easy and secure with our partner PayPro Global. After we receive your payment, we email you a decrypted copy of your Excel/Word file that you can open without a password.